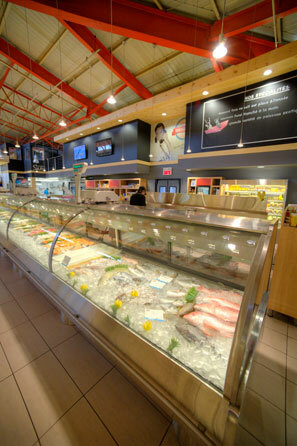 Customers can also choose from a wide range of superior quality fish and seafood. At the Poissonnerie du Marché we pride ourselves on pampering our clientele. Our employees are pleased to share their knowledge of fish and seafood, and product origins.